They gave their best for something held dearer than joy ~ something of good beyond their personal experience; the giving of which, in this world's estimation, is of such cost that it cannot be justified by your understanding but only in your overpassing faith. We do not live for self.... We are a part of a larger life, reaching before and after, judged not by deeds done in the body but deeds done in the soul. We wish to be remembered. Willing to die, we are not willing to be forgotten. 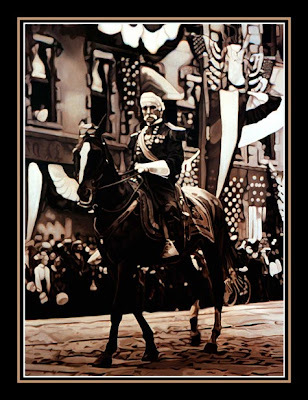 "Joshua Lawrence Chamberlain in Memorial Day Parade,"